Life is full of surprises―some that are welcome, some that aren’t. 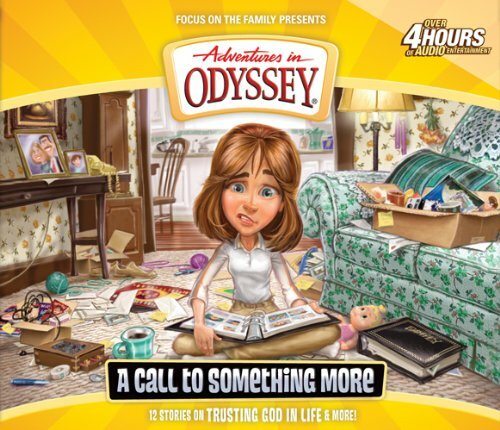 A trip in the Imagination Station is usually fun, but three generations from the Parker family are surprised to find that it can be life-changing, too. And who doesn’t love the circus, especially when it involves solving a mystery behind sabotage and betrayal? And Connie’s life is turned upside-down by an unexpected phone call, triggering major changes for everyone around her. In laughter or tears, you can count on the gang at Whit’s End to make life’s surprises fun, exciting, touching, and rich with lessons from God. Episodes include: Life Expectancy (Parts 1-3), Your Servant Is Listening (Parts 1-2), The Friend Formula, No Chemistry Whatsoever, More Than a Feeling, Repent after Me.